In 1909 William H. Taft became President of the USA; following Theodore Roosevelt. 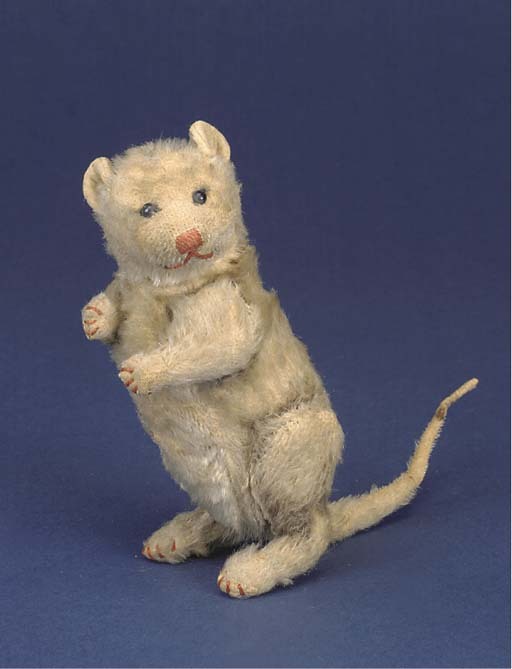 As Teddy Roosevelt had his adopted mascot, the Teddy Bear; Taft and his supporters adopted a Opossum called Billy. Rather amusingly, at a dinner to honour the new president held in Atlanta, `Opossum aux patates' - Opossum with sweet potatoes, was served! In the same year, in response, Steiff registered this design and he was made until 1914. Now very rare, they can sell for anything between £1000 and £5000. Don't you think he is sweet? Can you believe it? A Belisha Beacon Duck!!! !